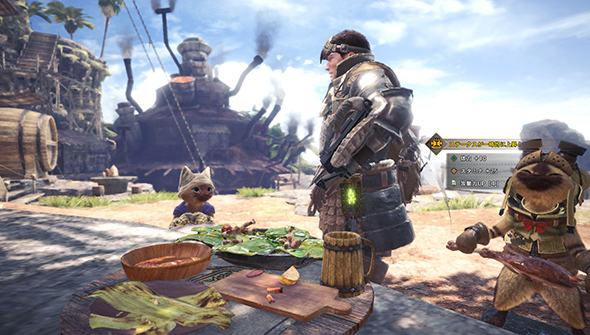 The Canteen provides hunters with the nourishment they need before departing on a hunt. Eating a meal at the Canteen can bestow any number of useful powerups. 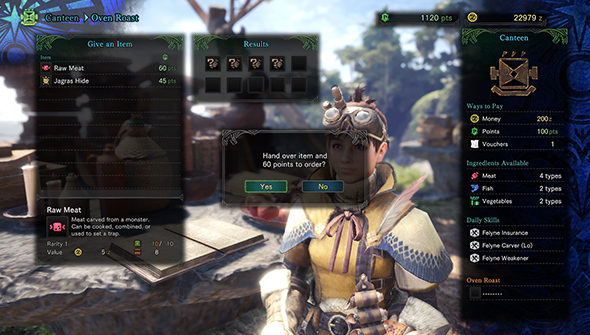 You can also order an Oven Roast from the Handler. 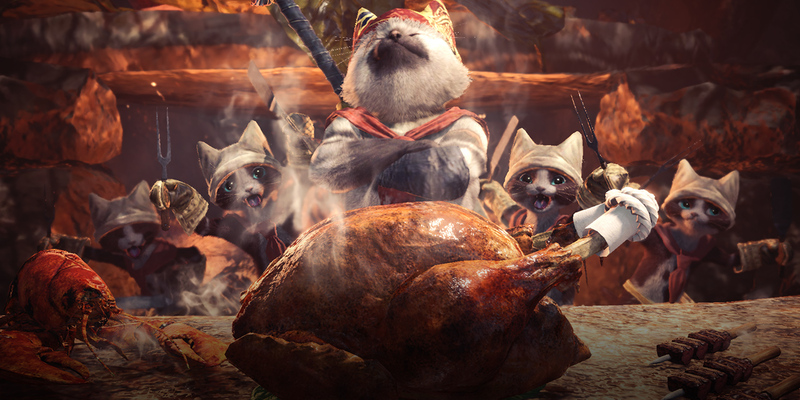 Items used for an Oven Roast will be made into food, though depending on the item there may also be a few unexpected results!